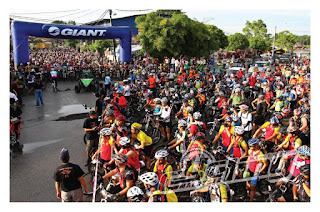 Team Racing Singapore Cape Epic raced in the Plentong Epic 2011 across the causeway in Johor, Malaysia. There were over 1,000 participants with a large contingent from Singapore. The 50 km trail was set in typical Malaysian rubber and palm oil plantation and some secondary jungle. The fire roads and single tracks were fast and very rideable, except for some initial traffic jams and short stretches of muddy trails due of the recent wet weather. Morten in 8th place - "The race finished off with one giant climb and at the bottom of the hill I had connected with the Giant interstate team. We all knew the results was likely to be found here, I was sixth in the group but did not have enough power to attack so I was also sixth at the top. Going down on the last decent I passed Alvin from Entro, and got up to one Giant rider. Out on the tarmac, and I knew this would end in a finish line sprint if I did not get away soon. I got a second or two and pushed hard, but he came right back on my rear wheel. Then he attacked on the last 300 metres, we both gave it all but he had 20 year younger legs than me and beat me in the sprint. Positions 8,7,6,5,4 all finished within the same minute in 3 hours 4 minutes. I was best rider from Singapore (and Denmark)." Mike in 35th place - "I had a really good run with no mechanicals or crashes but lost time and had a fight on my hands in the 1st stage to clear the 1/3 of riders that decided they should start in front of the people that did the right thing and lined up early. It was an ego boost to keep reeling in riders in front in groups of two or three at a time and I just kept focussed on pulling in the next wheel and being creative when there were pinch points. It was a super fun course with the mud adding excitement on the corners and hills. 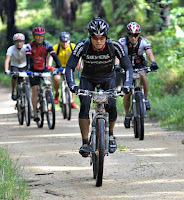 Much more single track than I expected and it was a really well laid out and supported event." Lars in 38th place - "Just before the start my rear tyre was spraying sealant all over the place, so I put on a tube. Luckily I was done just when the start went off, while I thought I had another 15 min. A few small crashes (off the bike during river crossings), where I twice injured the old injuries on my knee. Otherwise I had a nice ride. Due to the recent dengue fever, I struggled physically as my body was still not ready to take the work I tried to make it. Nevertheless, I pushed myself to the absolute limit and finished 38th." Ching Soo in 78th place - "I had a enjoyable race, considering that I just had viscosupplement treatment for osteoarthritis on my left knee 10 days ago, and the dengue fever 4 weeks ago. I got stuck at the start line, and the traffic jams for the first hour was frustrating. It would have been better if the first 10 kms did not feature single lane bridges or technical sections as these created such bottlenecks." 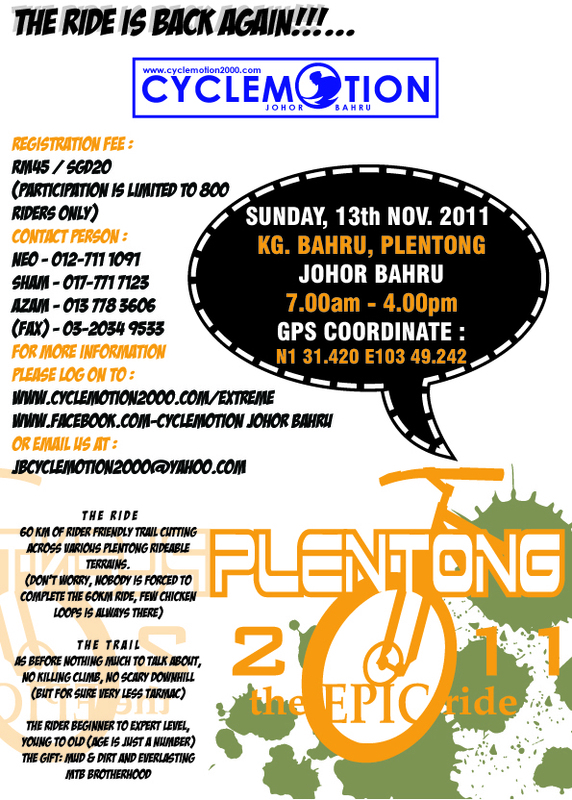 All in all, a well organised, supported and fun race. Thanks to the Johor Cyclemotion crew for yet another successful event!